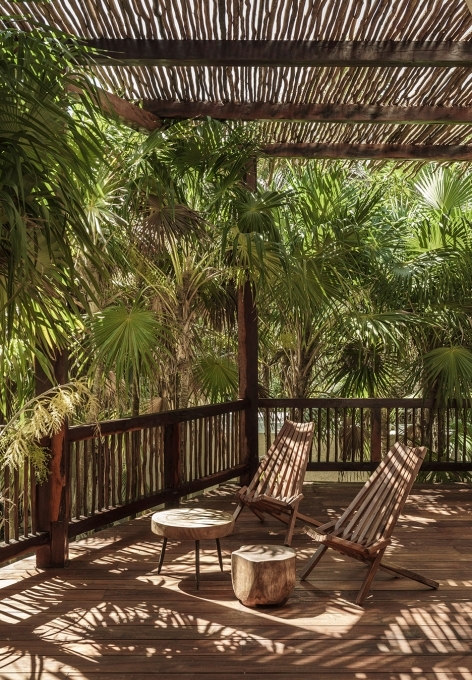 Behind the concept of this unique property lies a desire to embrace the lifestyle of international nomads — the conscientious travellers who in their pursuit of authentic experiences seek a deeper connection to the local destination. 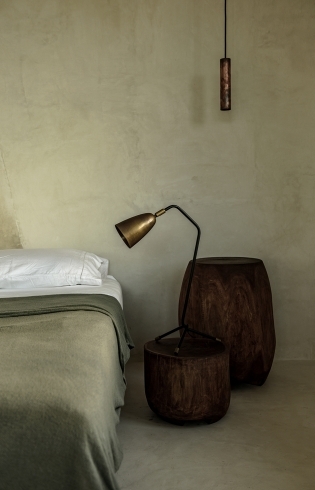 The original beauty of this hotel feels like a natural extension of this vision. 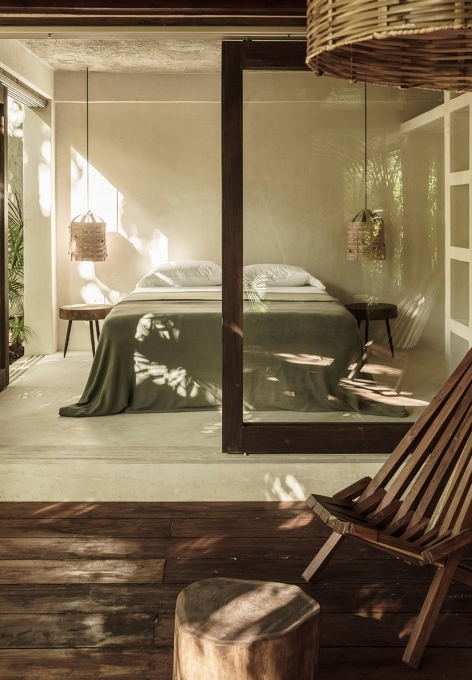 Glimmering in the play of dancing shadows and sun reflecting from the emerald leaves as it shelters on the edge of a tropical jungle, the earthy yet minimalistic Tulum Treehouse brings together a cutting-edge design and the beauty of the Yucatan craftsmanship. 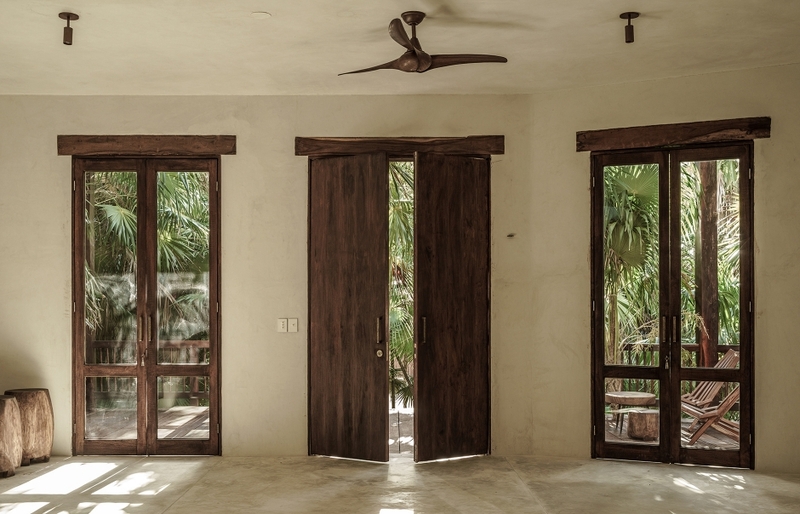 The core idea of Tulum Treehouse starts with the ethos and aesthetics of the community. 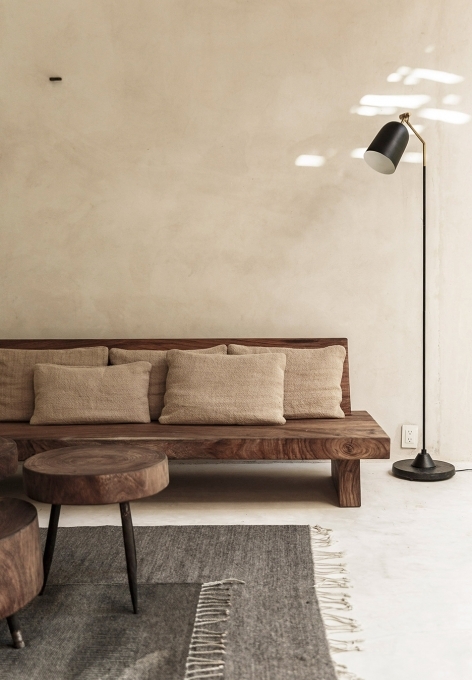 This has as much to do with creating a collaborative space for the local artisans and international designers alike as it has with the mindset of maintaining symbiosis with the environment. 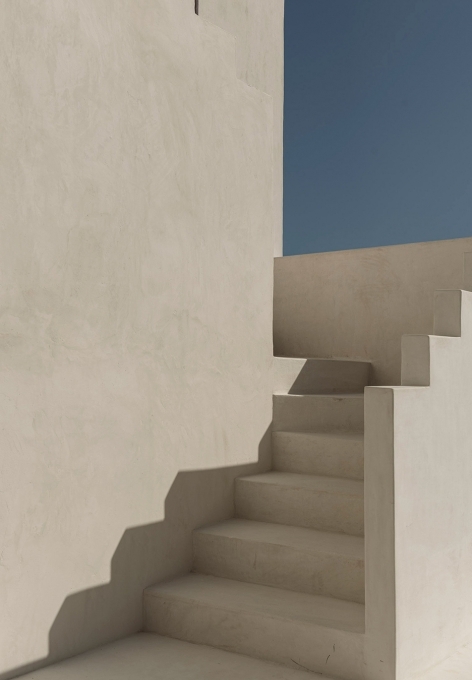 The concerns around the proper stewardship of the ecosystem guided the design and ultimately underscore the service that the quests of the House can depend upon. 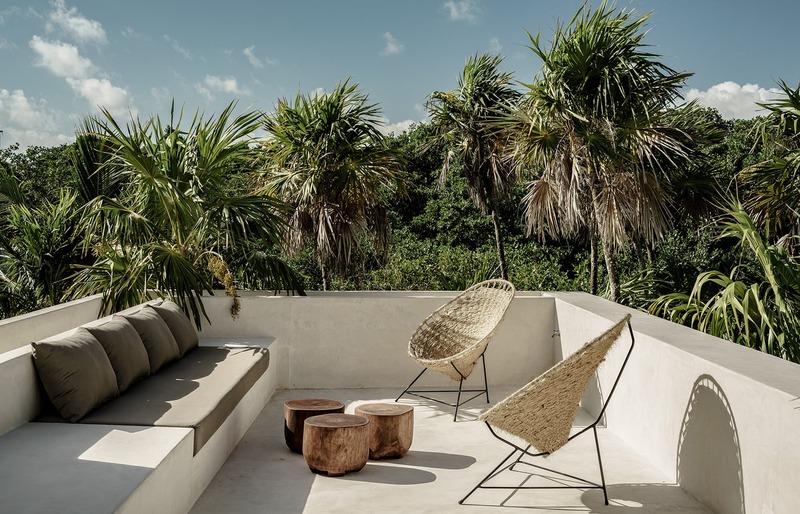 In creating this property, the natural beauty of the Yucatán was the principal inspiration for the stylist Annabell Kutucu and the Tulum-based architecture studio Co-Lab Design Office. 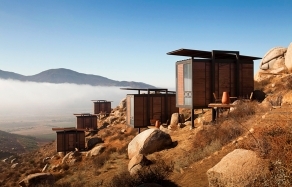 They set out to design a place that is sophisticated, elegant, and deeply connected to the natural environment. 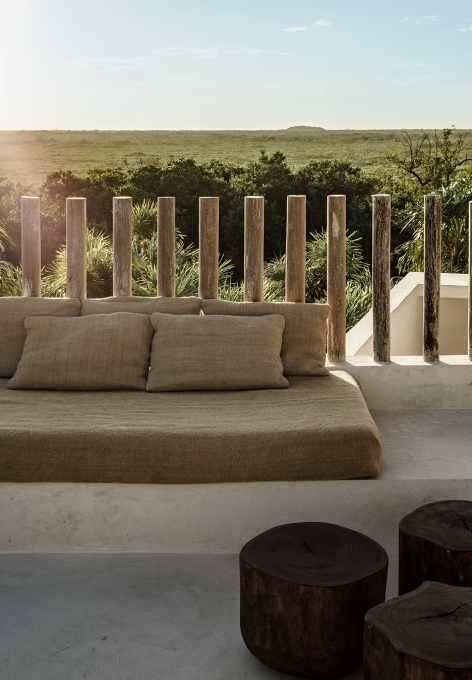 “We were sparked by the desire to develop new hospitality models which embody the lifestyle of today’s nomads. 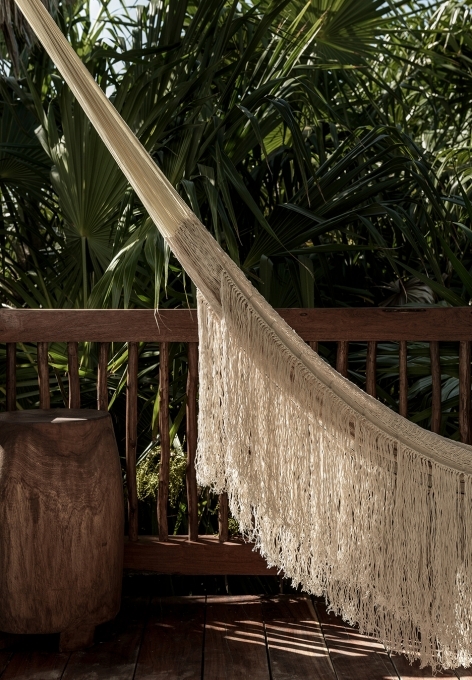 Those seeking genuine and innovative experiences centred around the respect and appreciation of local traditions, food, music, and rituals.” — Juan Pablo Heredia, partner of the Tulum Treehouse. 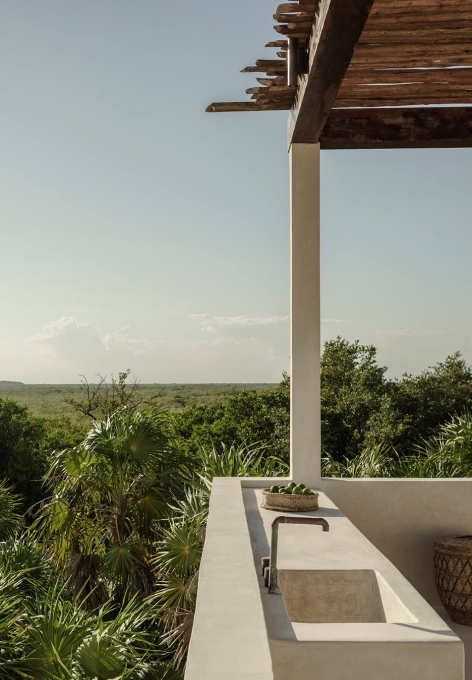 As we discovered in our recent visit to Tulum, it is a place disconnected from the rest of Mexico by default — if only because of the absence of the yet-to-be-developed power grid. 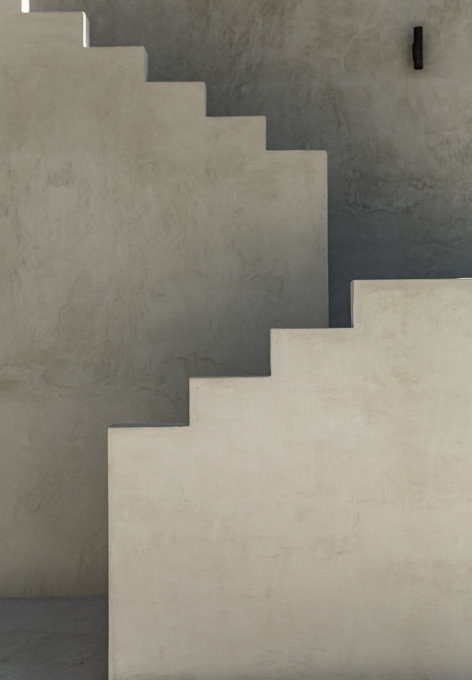 This could lead to creative solutions, but in most cases, it leads to diesel generators. 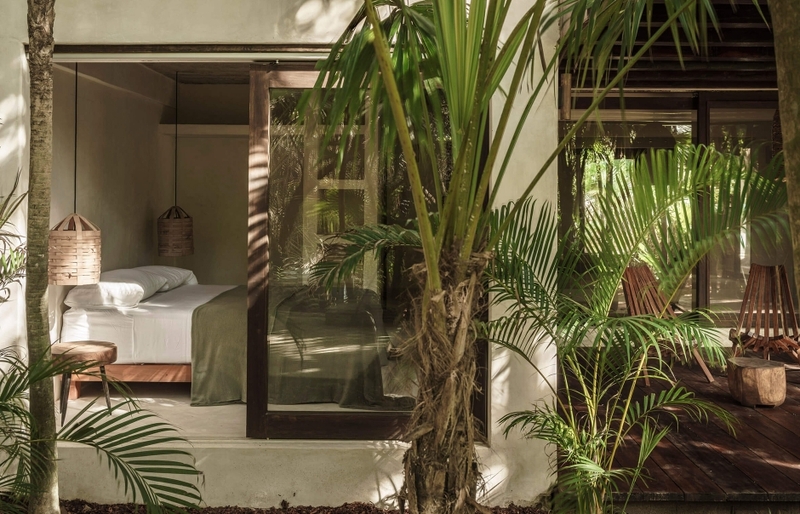 There is a backup generator at the Tulum Treehouse too, but the hotel relies on a full solar setup as the main source of energy. 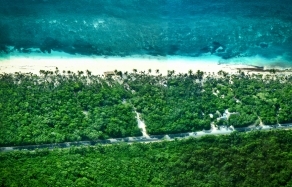 It also maintains a water treatment and irrigation system that helps to preserve the fragile ecosystem that is the Tulum jungle and mangrove area. 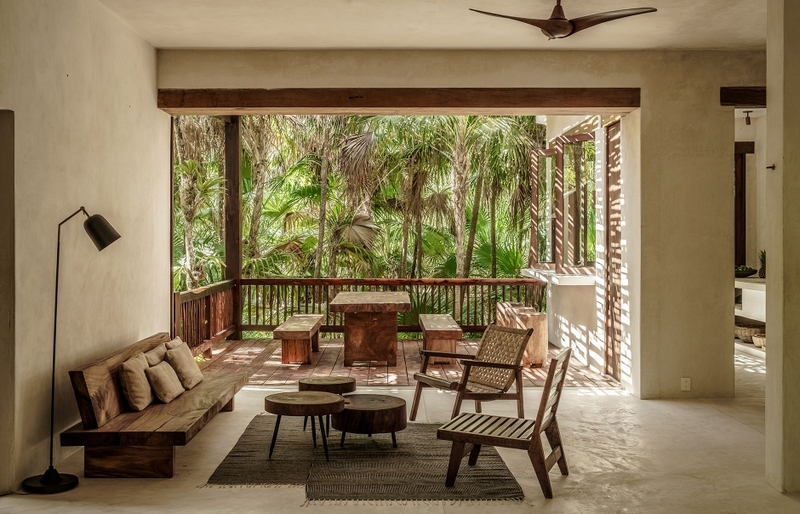 The spirit of sustainability drives the design of the Tulum Treehouse. 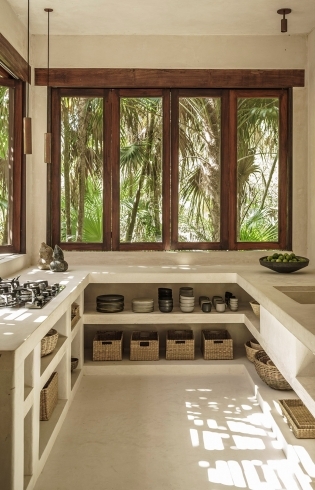 This is in large part thanks to the original furniture and décor. 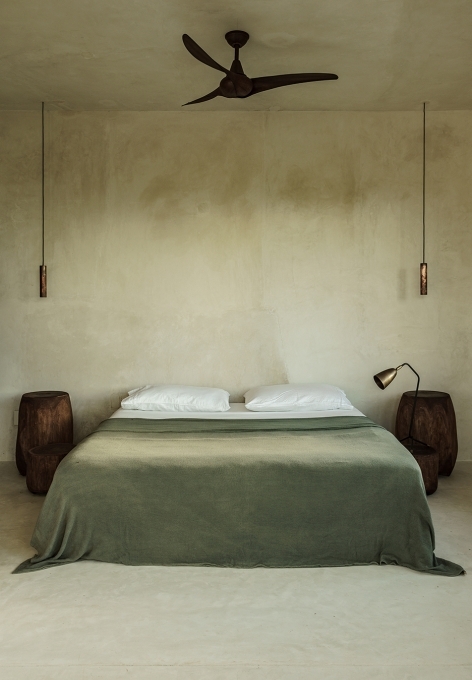 A local family of carpenters who specialise in utilising waste wood to create furniture had a hand in furnishing the place. 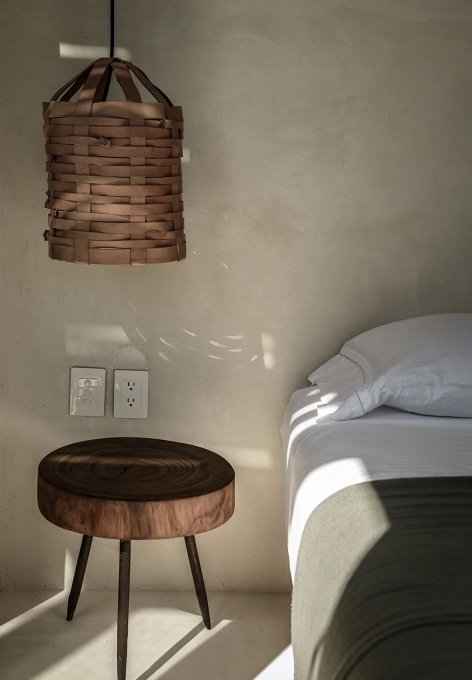 Fine fabrics by Mexican brand Caravana are set against handwoven bejuco baskets and Oaxacan ceramics from La Chicharra, while organic materials, taken from in and around Tulum, pay homage to Mexico’s natural textures. 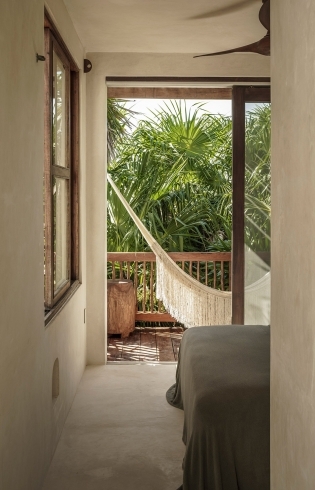 Tulum Treehouse is a multi-room private house rather than a hotel. 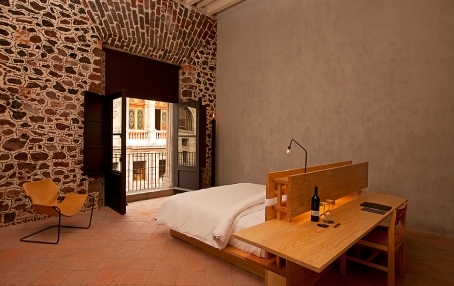 It can be rented as a three bedroom, or in its entirety as a five-bedroom accommodation. 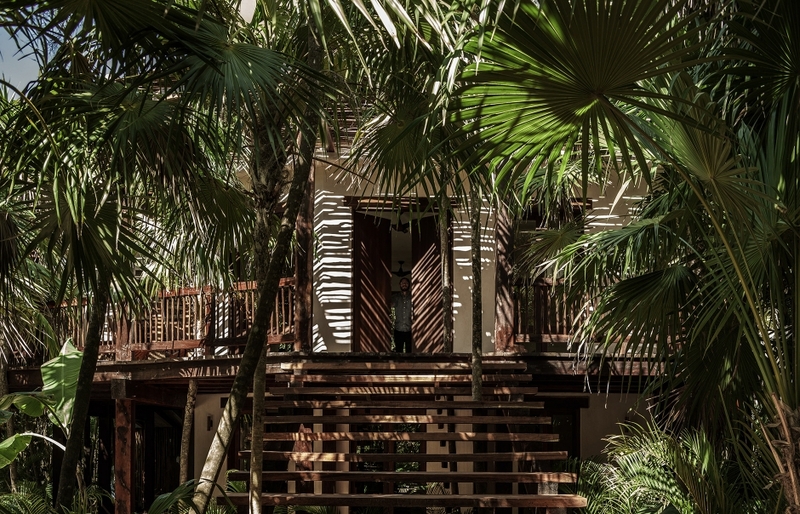 Up to 10 guests can enjoy large common areas, several spacious wrap-around terraces, multiple spaces for indoor-outdoor living, and five bedrooms that come with en-suite bathrooms. 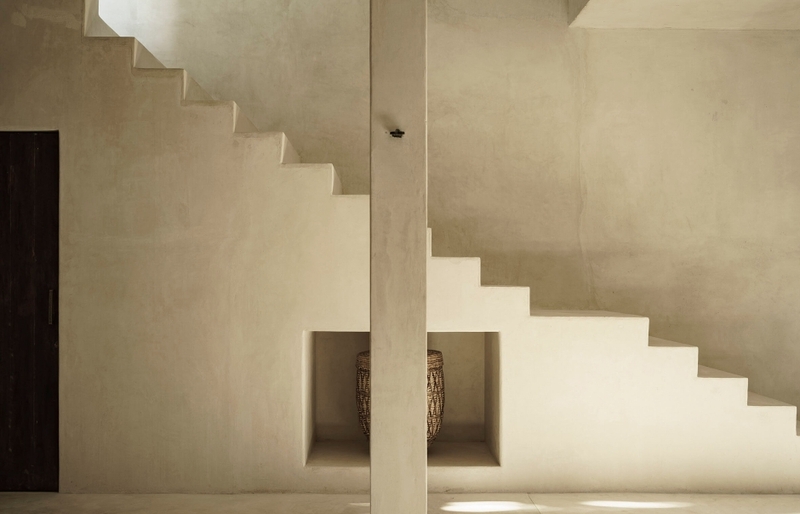 All interiors inspire the change in the pace of life and invite to reset, to create space, to nurture silence and to reconnect.